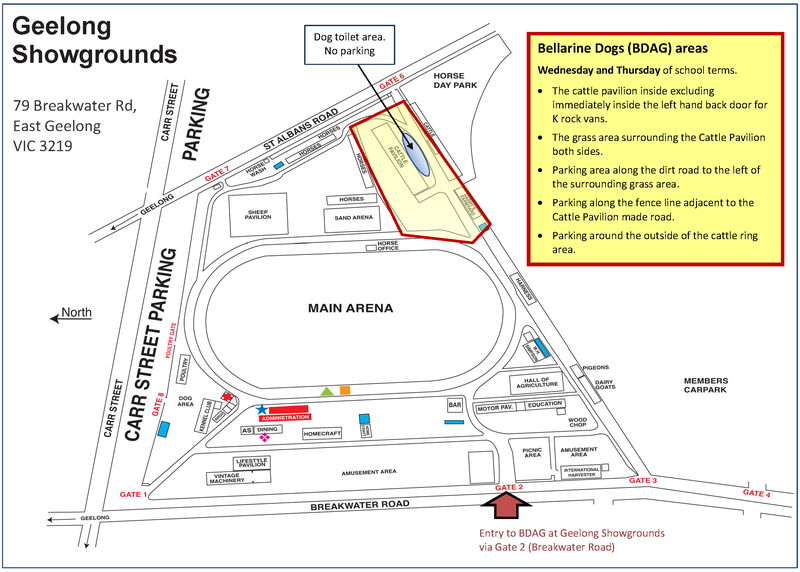 Classes are generally held on Wednesday and Thursday nights at the Royal Geelong Showgrounds, Vic Australia. Starting Dates: First Wednesday of each school term (unless otherwise notified). The class size is restricted to 8 or fewer dogs to allow for more efficient training. Classes include general instruction and exercise/activities sessions to show and learn new skills or address existing challenges or problems. Time should be set aside over the course of the week to practice existing and new skills at home. Homework exercises are encouraged for maximum benefits and progress. Dogs and their handlers will move on to the next class once they are competent at the exercises listed for each level and the end of a block. New Member Intake each block starts with orientation night; which is compulsory.